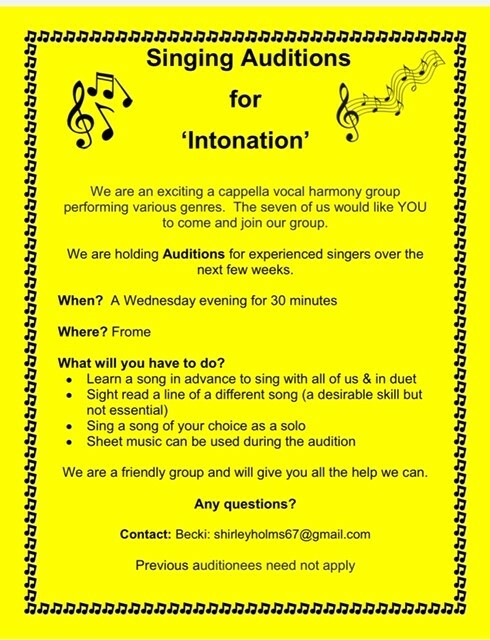 Frome Harmony Choir opens again on for a new winter/spring term! Harmony singing with sacred songs from all traditions, including our own indigenous ones. We are a fun, friendly group who welcome newcomers. No experience necessary, just listen and repeat. 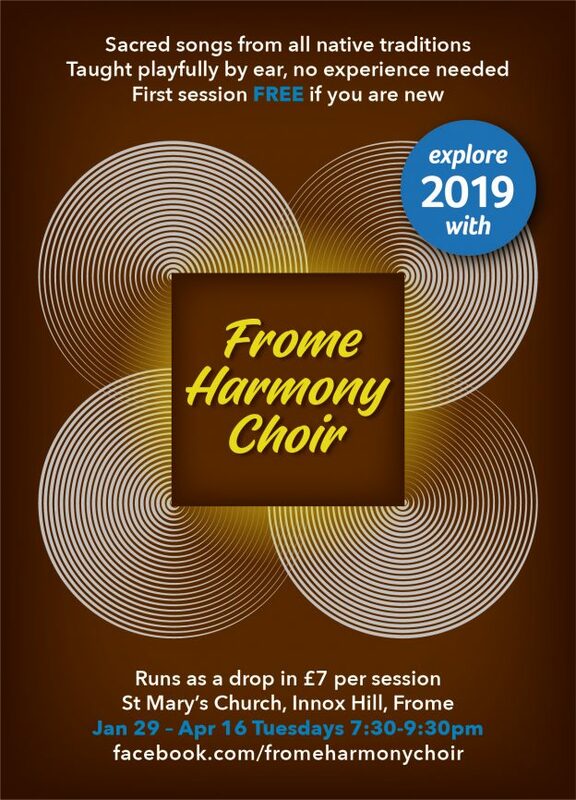 New term starts January 29th on Tuesdays 7:30-9:30pm for 12 weeks.